Phase 2 sees Hal wandering the Bay Area, being a bang-up tourist and collecting travel secrets from some special sources. I COVERED A LOT of ground during the first leg of this trip — Austin to San Francisco takes in tremendous diversity of the American landscape. This week+ was a total gear shift. The reason my wife and I struck out in the first place was to attend the wedding of her cousin in SF. It went down July 17 at the swanky City Club, which features a stairwell Rivera fresco. It’s the first he created in the U.S. and depicts the people, history, and industry of California. Beautiful. 1. Muir Woods is only 45 minutes from downtown, but the psychic distance is immense. This is a real city escape. The boardwalk paths are busy, but get there early and hike up the longer hill trails and you’re alone with thousand-year-old trees. The English-pub-style restaurant at Pelican Inn, in Muir Beach, kept the mellow mood going for us. 2. Rain isn’t the only way to get soaked. We camped at the Pan Toll area of Mt. Tam State Park. A fog bank rolled up the headland during the night, got caught in the big trees, condensed, and fell as a light but continuous “rain.” The tent was soaked by morning, while the ground away from tree cover was still dusty dry. 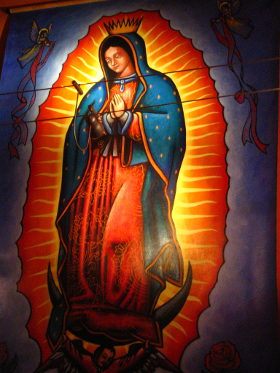 Meeting Matador co-founder Ross Borden for tacos in the Mission was a trip. But our last-night dinner with five Matador contributors/staff was even better. Shaking hands with someone you’ve previously only known through blog comment fields is just wild. 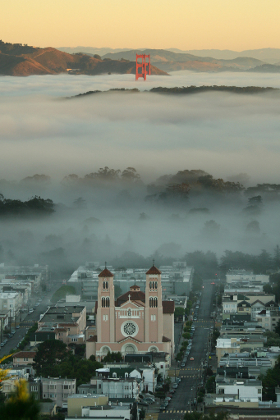 My one tip for a trip to the Bay Area is to visit the East Bay…in particular, Berkeley and Oakland! Both are overshadowed pretty heavily by San Francisco, but they’re just as vibrant without the hordes of tourists. You can eat your way through the history of California cuisine in Berkeley’s Goumet Ghetto (home to Alice Water’s Chez Panisse), hang out with hippies and vagabonds on Telegraph Avenue, soak up the art scene in downtown Oakland’s galleries and hipster cafes (check out the Art Murmur street fair every first Friday! 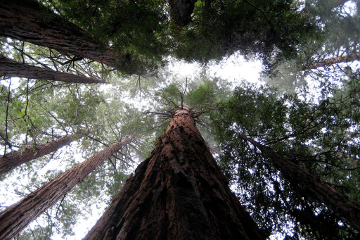 ), and hike amongst the redwoods in our multitude of regional parks. My advice would be to stay away from some of the usual tourist traps like Fishermans Wharf and the cable cars and explore the city’s eclectic neighborhoods, like the Mission, Noe Valley, North Beach, Hayes Valley, the Sunset and the Richmond. Even though I grew up in the area, I’m still discovering new corners of the city and continue to be amazed by how diverse it is. The best times to visit are mid-spring and late summer to early fall. If you must visit in the midst of the summer fog, bring layers and be prepared for chilly mornings and nights and unexpected temperatures in general. The city has a great food culture, but if you’re on a budget, you may not have access to the good stuff if you stick to downtown or the tourist areas that surround it. For delicious eats that are kinder to your wallet, head over to places like the Mission District or Clement Street in the Richmond District. If you’re interested in checking out Chinatown, head over to the one in Oakland. Larger than San Francisco’s, it offers a bigger variety of shopping and eating options and is less of a tourist trap than it’s cousin across the bridge. For the next installment, I’m gathering info on wines and redwoods. Stay tuned. Visit the blog links of the folks above to find out more on the area. Or connect with other Matador members based in SF.